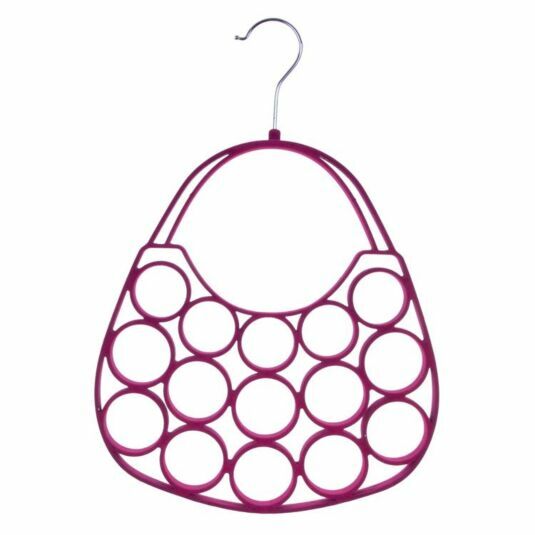 Store your scarves in style with this Handbag Scarf Holder from Equilibrium. This handy holder shaped like a handbag and has been flocked in bright pink. It also has fifteen holes, each with space for one or more scarves. 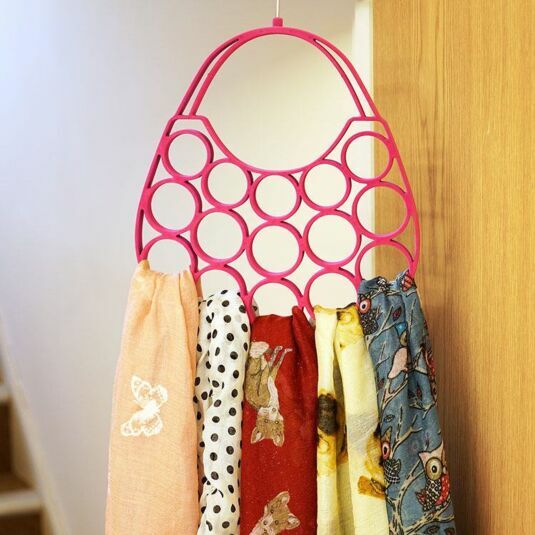 Using the metal coat hanger hook at the top of the holder you can hang your new scarf holder inside your wardrobe or out on display as the pretty pink colour and the fun handbag pattern also make it a statement piece for your room.